Touch-Ups, Hide Glue & Misc. 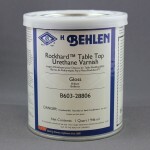 BEHLEN ROCKHARD TABLE TOP URETHANE VARNISH – Put a beautiful, “rock-hard” amber finish on your fine furniture projects! 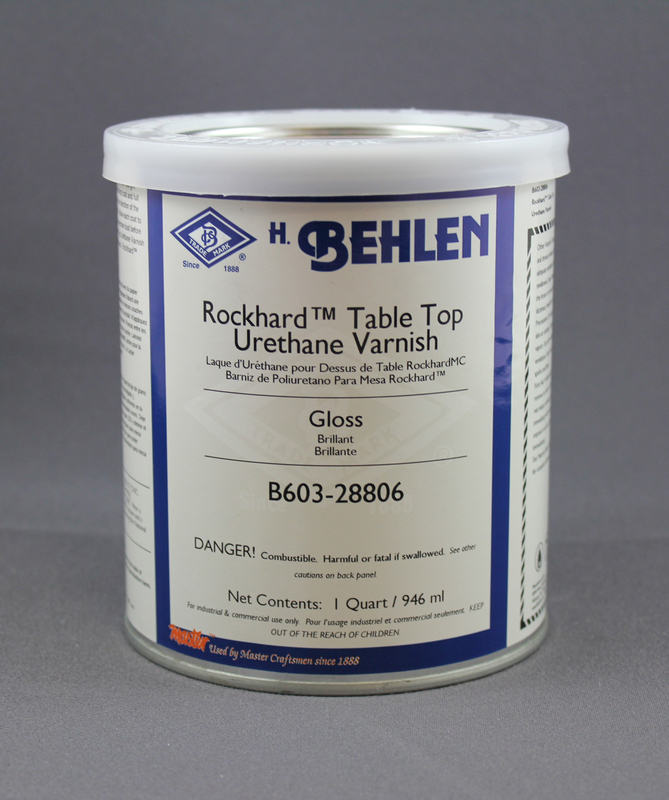 Rockhard™ Table Top Urethane Varnish is the coating you need when you want a hard finish that will deliver maximum resistance to water, alcohol, food stains, chemicals, detergents and other damaging liquids. This abrasion-resistant finish is ideal for use on table tops, as its name boldly proclaims. Its toughness also makes it suitable for a multitude of other uses like wooden chairs, benches, desks, dressers, chests of drawers, vanities, bookcases and so many more. Apply with a natural bristle brush. Choose from satin or gloss.